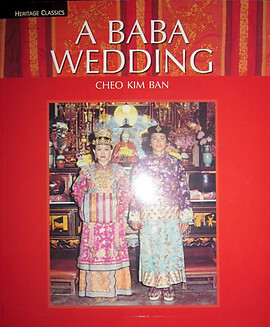 The Babas and Nyonyas, or Straits Chinese, are the descendants of early Chinese immigrants and their Malay host community. 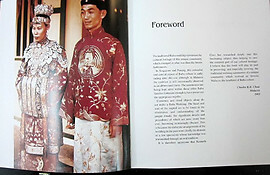 In the course of time their culture has evolved into a heritage distinct from their Chinese and Malay compatriots in Malaysia and Singapore. One of the central feaures of this culture was the wedding which used to take place over several days, but now occasionally takes place in an abbreviated form. 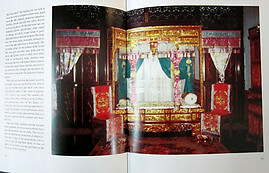 This book is the result of of oral and written research by the author so as to reconstruct such weddings through informed text and colour illustrations. Very Good Paperback. Reprint 110 pages. Published by Marshall Cavendish Editions, Singapore. 1983. 2009 Reprint. Condition: Very Good Paperback. The book looks new except for a previous owner's signature on the title page and on the last page.